Andy Friedman heads the firm’s class action, securities fraud, and consumer fraud practice groups. Mr. Friedman is admitted to the State Bar of Arizona and is admitted to practice before the U.S. District Court for the District of Arizona, U.S. Court of Appeals for the Ninth Circuit and the U.S. Supreme Court. Mr. Friedman’s practice is devoted primarily to litigation of major class action cases in federal and state courts in Arizona and throughout the United States. He has represented plaintiff classes in major consumer, securities fraud, antitrust, civil rights and insurance sales practices cases and other complex commercial litigation. Mr. Friedman and other members of the firm served as Arizona counsel for the plaintiff class of investors in In re American Continental Corp./Lincoln Savings and Loan Sec. Litig., MDL 834 (D. Ariz.). Mr. Friedman was one of the team of lawyers who represented the class of investors who purchased debentures and/or stock in American Continental Corp., the parent company of the now-infamous Lincoln Savings & Loan. The suit charged Charles Keating, Jr., other corporate insiders, three major accounting firms, law firms and others with racketeering and violations of the securities laws. Plaintiffs’ counsel actively participated in bankruptcy proceedings, multi-district litigation and, ultimately, a jury trial in Tucson, Arizona. Plaintiffs successfully recovered $240 million of the $288 million in losses sustained by the investors. After trial, the jury rendered verdicts exceeding $1 billion against Keating and other defendants. Mr. Friedman also served, along with other members of the firm, on the court-appointed Executive Committee in the Prudential Limited Partnerships Multi-District Litigation, representing investors in limited partnerships sponsored by Prudential Securities. This action, which alleged racketeering and securities fraud claims on behalf of a nationwide class, resulted in a settlement providing more than $125 million in benefits to defrauded investors. Mr. Friedman and the firm were key members of a team of lawyers which brought landmark cases against major life insurance companies challenging the deceptive manner in which life insurance products were marketed to consumers during the 1980’s. The first of these cases, against New York Life Insurance Co., arose from events uncovered in Arizona and resulted in a ground-breaking settlement providing benefits to class members exceeding $250 million. This settlement has been praised by regulators and commentators as an innovative solution to sales practice abuses. Subsequently, Mr. Friedman and co-counsel for plaintiffs prosecuted class actions and secured settlements against a host of other major insurance companies, including settlements with Prudential Life Insurance Company (exceeding $2 billion), Metropolitan Life Insurance Company (exceeding $1 billion), Manulife (exceeding $500 million) and more than 20 other companies. Mr. Friedman was instrumental in the prosecution of these actions, was a member of the settlement negotiating team and briefed and argued class certification issues at the trial level and in the appellate courts. Mr. Friedman and the firm, along with several other law firms, have represented African-American policy holders in class action proceedings against life insurance companies seeking relief under the Federal Civil Rights Act for racial discrimination in the sale and administration of life insurance policies. For many decades, life insurance companies routinely charged higher premiums to non-Caucasians for inferior life insurance policies. The first such action, against American General Life & Accident Company, resulted in a $250 million settlement providing benefits that included cash refunds, increased death benefits and reduced future premiums. Mr. Friedman and the firm also represent plaintiffs in similar race discrimination class actions against other life insurance companies, including Metropolitan Life, Liberty National, American National, Monumental Life, Western & Southern Life and Jefferson-Pilot Life Insurance Company. Mr. Friedman also has served as lead, co-lead or liaison counsel in many major securities fraud class actions in Arizona and elsewhere, including Persky v. Pinnacle West Corp., et al. (securities fraud class action — $35 million settlement); Culligan International Company v. United Catalysts, Inc. (Antitrust Action); Sitgraves, et al. v. Allied Signal, Inc.; Stein v. Residential Resources, et al. (Securities Fraud Class Action); Gould v. Pinnacle West Corp., et al. ; Shields v. Del Webb Corp., et al. (Securities Fraud Class and Derivative Suit); Hoexter v. Valley National Bank, et al. (Securities Fraud Class Action); Friedman, et al. v. Emerald Mortgage Investment Corporation, et al. (Securities Fraud Class Action); Marks, et al. v. Circle K (Securities Fraud Class Action); Krause v. Sierra Tucson, et al. (Securities Fraud Class Action); Braunstein, et al. v. Tucson Electric, et al. (Derivative Suit); Krause v. Sierra Pacific, et al. (Securities Fraud Class Action); Blinn v. Bech, et al. (Securities Fraud Class Action); Voss v. Cobra Industries, et al. (Securities Fraud Class Action); Hollywood Park Securities Litigation (Securities Fraud Class Action); In re America West Sec. Fraud Litig. (Securities Fraud Class Action); Orthologic Securities Fraud Litig. (Securities Fraud Litigation); and In re Vitamins Antitrust Litigation (Antitrust Class Action). Mr. Friedman has lectured at numerous continuing legal education programs, including panel discussions and presentations on the Private Securities Litigation Reform Act (1996 Federal Bar Convention), prosecution of nationwide class actions in state courts (1996 ABA Annual Convention), litigation of life insurance market conduct cases (1997, 1999 and 2000 PLI conferences) and other litigation programs sponsored by the Practicing Law Institute and ALI-ABA. Mr. Friedman also has testified before the Arizona Legislature in connection with legislation on the Arizona Anti-Racketeering Act and the Arizona Securities Fraud Act. Mr. Friedman received his Bachelor of Arts Degree from the University of Rochester in 1975 (high distinction) and his Law Degree from Duke University School of Law in 1978 (Order of the Coif, high distinction). He is a member of the trial sections of the American Bar Association and the Arizona State Bar Association. 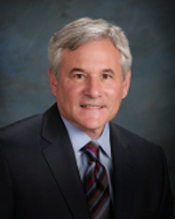 Mr. Friedman is a founding member of Bonnett, Fairbourn, Friedman & Balint.